Endless possibilities await this spacious split level. Formal center entry to first floor which includes fully appointed eat-in kitchen and spacious dining room. Second level living room with vaulted ceilings and adjoining study. Three large bedrooms with ample closet space. Partial finished basement offers extra living space and laundry room. Estate Sale, long time owner. Additional amenities included, hardwood floors, attached garage with extra storage, new roof 2017. Fabulous location, award winning school, close to shopping, parks and transportation. Directions: NORTHWEST HWY TO KENSINGTON,EAST OF DRYDEN TO DONALD. I was searching for a Property and found this listing (MLS #10270654). 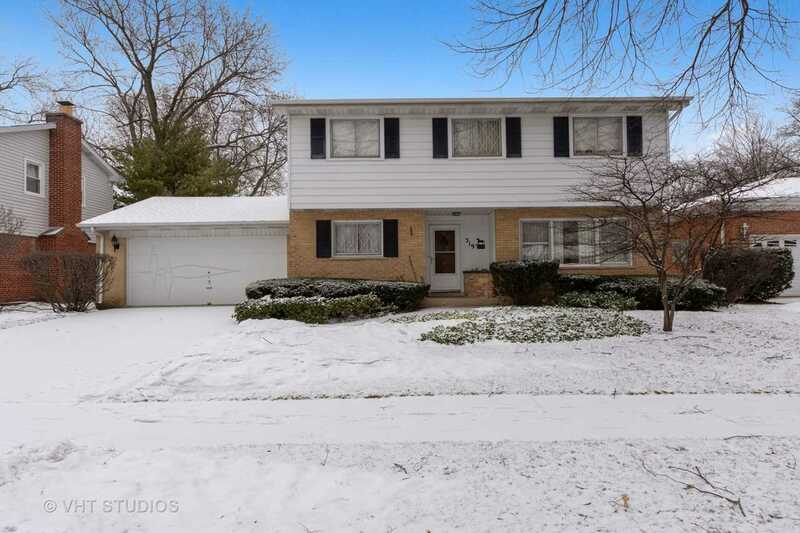 I would like to schedule a showing for 319 S Donald Ave Arlington Heights, IL 60004. Thank you! I was searching for a Property and found this listing (MLS #10270654). Please send me more information regarding 319 S Donald Ave Arlington Heights, IL 60004. Thank you!